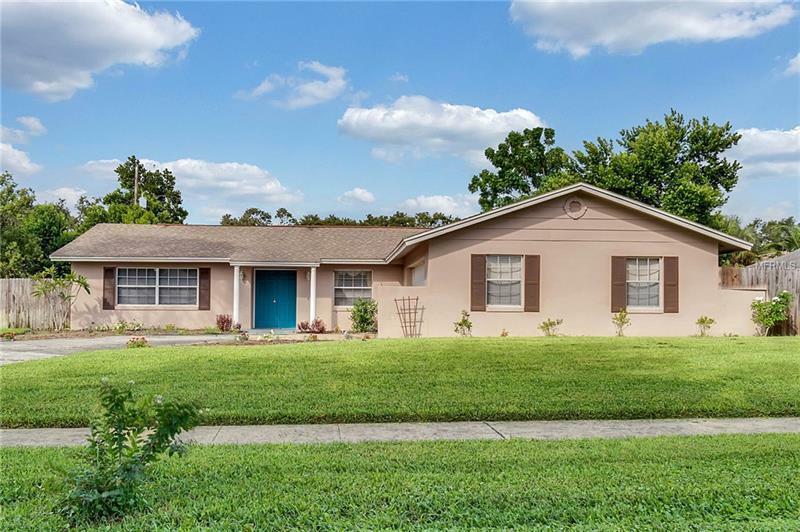 Newly updated 4 bedroom 2 bath home ready for new owners! Kitchen has been fully renovated with real wood cabinetry, granite countertops, and new stainless steel appliances. Beautiful tile floors throughout main living areas. Split floor plan with master bedroom on one side and two guest bedrooms on other side with full bathroom. 4th bedroom located at front of house, currently used as a media room. Inside laundry and side entry 2 car garage with tons of storage. Backyard is fully fenced and has screened lanai, great for backyard bbq's! New exterior paint in 2018, septic drain field replaced in 2013. Great location close to UCF, Full Sail, and 417. A true MUST SEE! Pet Restrictions: Verify with HOA for any restrictions.